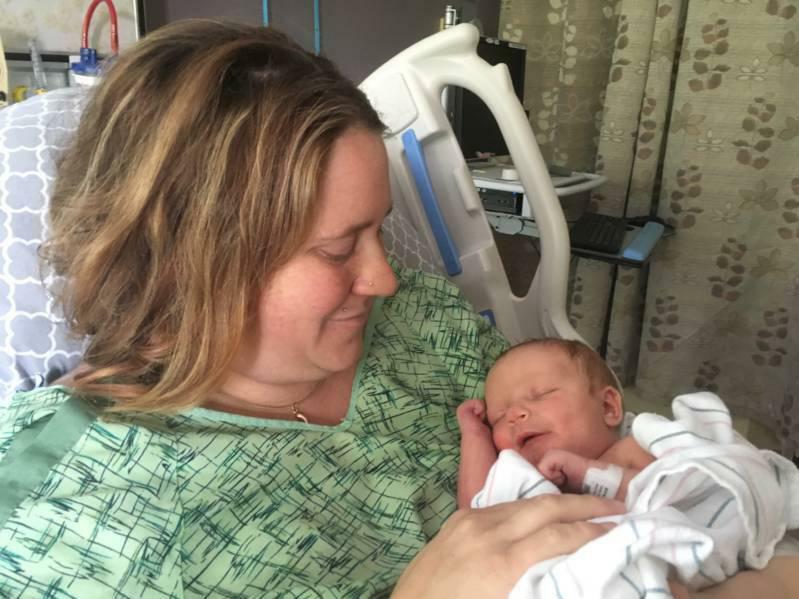 Adrian Dodger Veum was born Monday evening via C-section after his mom, Nicole, was evacuated from the hospital during labor. Nicole and Ben Veum had been waiting and waiting for their baby to arrive. Nicole's due date came and went. Her doctor called her in to the hospital — Sutter Santa Rosa Regional Hospital — to induce labor. That was Friday. "So we were very excited at that point," she said. "And then day after day after day, with not a whole lot of progress." "And then finally I am in a great rhythm," she said. "We're all excited. They're talking about breaking my water." "Things are rolling," Ben said. "We're getting good checks from the nurses. We started to get in the mood to play some music — a little bit of opera." They had just turned on Pavarotti when the hospital power went out. The generators came on. And the smoke outside the building started to creep inside. 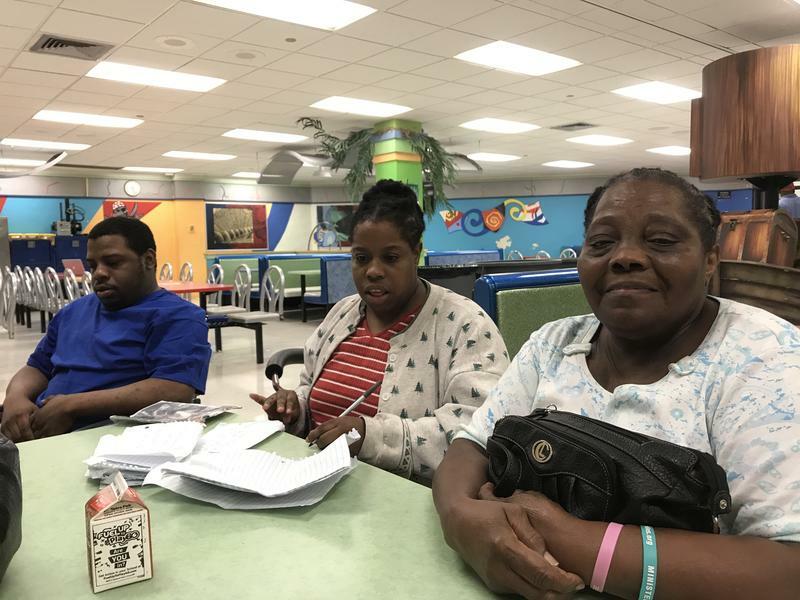 "There was a ton of smoke in the hospital," Nicole said. "You could see it and smell it." The nurses said the buildings around the hospital were on fire and they had to evacuate. Eighty patients from Sutter and 130 patients from Kaiser were transferred to other hospitals in the area on Monday, including Santa Rosa Memorial and Kaiser San Rafael. All Sutter patients were safely relocated to other hospitals, according to a statement from the hospital. "I couldn't walk or move, which was just not cool," she said. "I didn't like that part. I felt really vulnerable." "We were like 'Noooo.' It was the worst news," she said. "To have tried for three days and then OK, here's the shot that's going to end all of that." It was hours before dawn, and Nicole lay on a gurney by the docking bay, feeling paralyzed, in a line of would-be evacuees. There were so many patients who needed to be transported, and by the time her turn came, she had to share the ride with another woman in labor and a third with a newborn in her arms. That left no room for her husband. "The charge nurse explained that 'This is a disaster. We're following disaster protocol and no spouses or birth teams or anything are going along on the ambulance,' " Ben said. "And there was a part of me briefly that was like – but I'm a dad. I'm going to be a dad. This is us." Ben waited for a bus and was soon reunited with Nicole at Santa Rosa Memorial. But by that point, her labor was again at a standstill. They gave it 12 more hours, then agreed to a C-section. Monday evening, Nicole gave birth to a healthy baby boy, named Adrian Veum. Their friends had some suggestions for a middle name. "They wanted us to call him Adrian Fuego Veum, or Blaze Veum," she said. Copyright 2017 KQED. To see more, visit KQED. 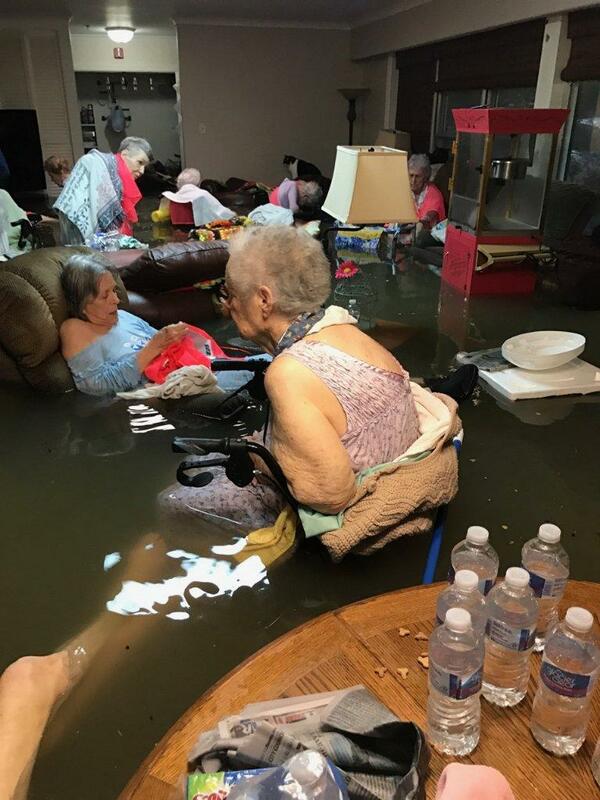 Thousands reacted this week to a photo of residents sitting waist-deep in floodwaters at an assisted living facility in Dickinson, Texas. The town did not issue a mandatory evacuation order ahead of Tropical Storm Harvey. The photo, and Texas officials' decisions to not evacuate, could have ramifications for emergency plans for Florida’s elderly residents. 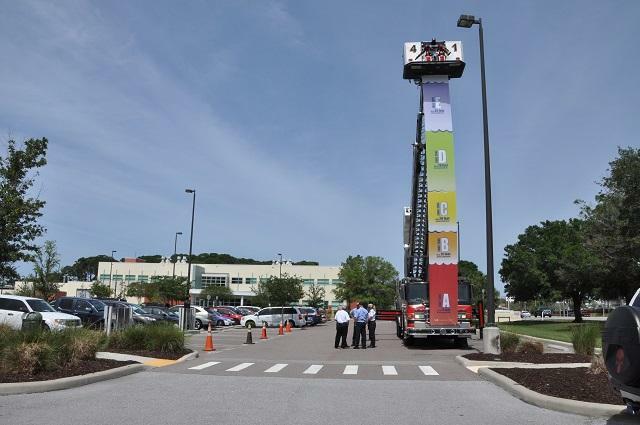 With the beginning of hurricane season Thursday, officials in Pinellas County are encouraging residents to check what their evacuation levels are because they may have changed since last year. Thanks to updated storm surge maps, some people are now either more or less likely to evacuate in a hurricane.